Situated on the busy corner of Ann & Edward Street, this funky café, wine and cocktail bar is a popular option for social functions of up to 80 people. With a private bar, plasma screens, sound system and nightlife music catalogue, it is perfect for everything from 21st birthdays through to Christmas parties and work break ups. A range of finger food platters are available from the venue, and drink prices are charged at happy hour for the first 2 hours, making this a great value for money option. 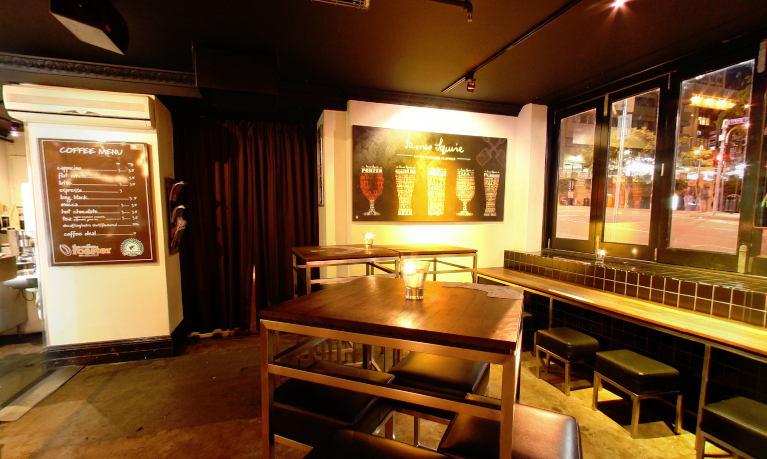 Available for exclusive venue hire 7 days a week, it is a perfect place to hold a function in Brisbane.